If you need compassionate care that you can be sure of Consider Us at Value Care. 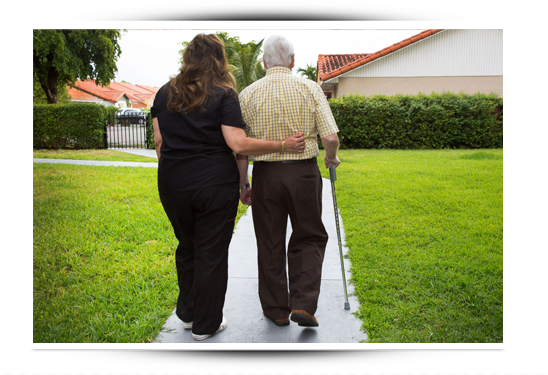 We match our clients in Miami Beach with caring home care professionals, best suited for their needs. Every caregiver who registers with us must undergo a selective screening and testing process to ensure they are highly qualified, competent and caring. Our FIVE STAR PROMISE is an assurance that our caregivers exceed the typical expectations of home health workers and that their skills go above and beyond basic requirements. Have exceptional references within the home health care industry. Can pass verbal communications tests. Can pass written communication tests. Are experienced with transfer techniques and how to safely move clients from wheelchairs to beds or seating, etc. Our clients are important to us and so is the quality of the caregivers we refer. In fact we are so confident in our ability to screen and match caregivers to our clients’ needs that we offer a First Day Satisfaction GUARANTEE. We want to make sure you are completely satisfied with the caregivers we have referred to you. Errands; help with shopping or running other errands, accompaniment to doctor’s visits or going to visit friends, and anything else our clients may need. Companionship; someone to talk to, someone to listen, and someone who cares. If you are in need of elder care in Miami Beach, South Beach, North Miami Beach and need extra help at home, in a nursing home, or in a hospital, our Care Match Program connects you with compassionate caregivers who will come to you, wherever and whenever you need them. We take the worry out of finding competent caregivers because we believe our clients should get More Help with Less Worry.